Nestled in the picturesque and historic Holme Valley, a stone’s throw away from the cobbled streets of Holmfirth. Sheltered between ancient Woodland, amidst the gently ebbing river Holme, lies DEVOUR. For DEVOUR it’s simple, we celebrate “Old School Italia!” Home-made food, Music, Family and Friends where we Sip, Share, Taste and Feast. Family is our passion; Italian food is our obsession. We create regionally seasonal dishes using simple fresh hero ingredients. Inspired by heritage and tradition, and LOVED by the family. What we don’t make ourselves (which isn’t much) we source locally and beyond from our friends - passionate artisan producers who share our love of great food, great company and good times! Our weekly evolving menus offer exciting Cicchetti (speciality small plates), fresh daily handmade pastas with slow roasted sugos, succulent mouth-watering roasts and robust melting charcuterie. Homemade freshly churned gelato (it’s all in the science I’ll have you know) and the best wood-fired “pizza slice” this side of Naples. Enjoy in our Eatery, the Deli Counter or on the knee in the bar. Season’s change but our passions remain. Everybody else’s food was lovely but I had the Penne Alla Pugliese which was essentially pasta swimming in oil with some semi-cooked garlic and chilli. Greasy pasta was not appetising! The service was very quick to take our order but slow from then on. 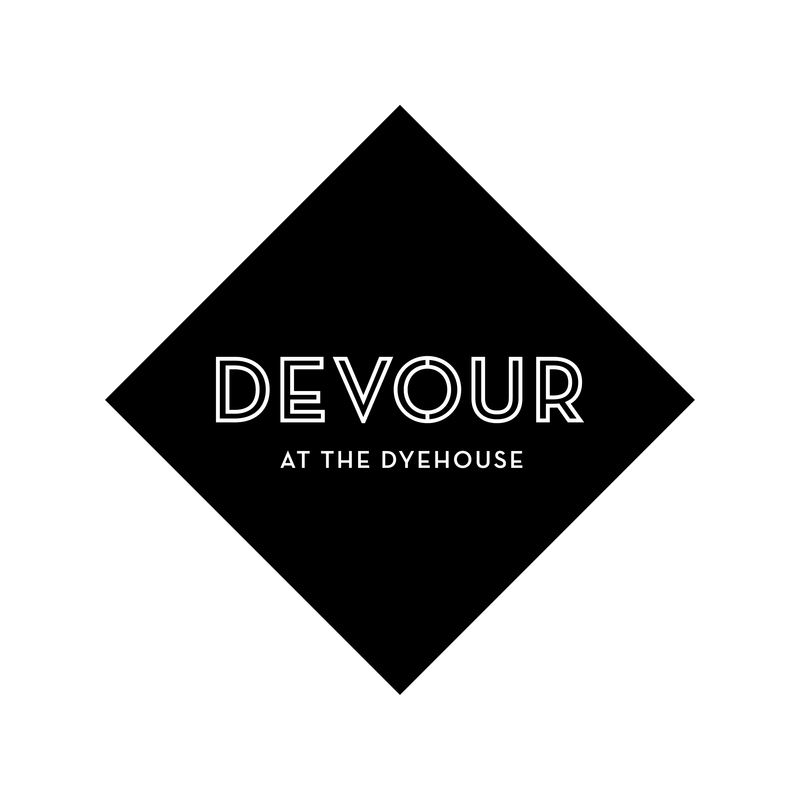 We went to the Devour after seeing it advertised in the 'Yorkshire Post Newspaper'. The booking was easy to do and they emailed me back on the day we were going to check if we were still going and the opportunity to cancel if we wished to. The place is very attractive and an excellent place to eat. The food was without fault and very good. The deli was a great idea to buy from to take home. The service was also good with very pleasant and helpful staff. The value for money is excellent. Would I recommend the Devour to people we know, we have already done so. Also we plan to go again. Had a lovely evening, great food and drink. We will definitely be back. Looking forward to next visit on Friday. Introducing friends to Devour for first time. Fabulous setting & lovely food. It was our first visit but we will certainly be back. 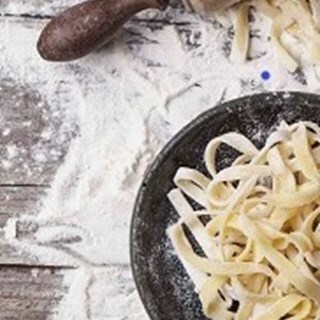 Wonderful food, drinks, service and atmosphere - a bit of authentic Marche Italy in Thongsbridge !...You can feel the owner’s passion for Italian food and Italy the moment you walk through the door. A fabulous experience from start to finish - venue, food, wine, service! Truly authentic Italian! Thank you Richard for your review, so pleased you enjoyed your afternoon with us. Absolutely love devour ,Food and service are great but please please add a genuine Italian larger such as peroni to the drinks menu. Thank you Oliver so pleased you enjoyed your experience with us! At the moment we are supporting local craft beers but we do take on board your suggestion. Service much improved since our last visit in December. The restaurant was full but no problems or delays. Food arrived in good time and everyone enjoyed their meals. Thank you Gary for your review so pleased that you enjoyed your experience and that it was improved compared to December. We hope that you'll come back to visit us again soon. Thank you Andy for your lovely review, we look forward to welcoming you back again soon! Great atmosphere and really delicious, fresh food. There's also an extensive craft beer menu which is great to see! I'll be back soon! Thank you Phoebe, so pleased you enjoyed the food and the craft beer! We look forward to welcoming you back again soon. Love the place, the food and the atmosphere. Looking forward to my next visit. So pleased you enjoyed your experience with us Jackie. We look forward to welcoming you back again soon! Thank you Rachel for your 5 star review! Excellent food, lovely atmosphere - we will definitely be back. Would highly recommend. The food is authentic Italian. Fabulous meal - beautifully cooked, friendly staff in fantastic setting. A very pleasant unhurried lunch, with attentive staff. Excellent food in a friendly environment. Our only quibble is with the booking system - we booked by phone the previous week, but when we came there was no record of our booking and no tables available. Thankfully this did not happen again! Thank you Sue for your feedback regarding the booking system, we will look into what happened with your booking. It is always best to use our online booking system. We hope that you will come and visit us again soon. The Devour is set in a lovely area and their future plans for an outside eating/drinking area will certainly enhance it. However, wasn’t overly impressed with the food. We had the anti pasta board to start which wasn’t that great in taste and took 20 minute before it arrived. I had the ravioli arogosta and although the pasta and filling itself were nice it was spoiled by the sauce which was quite bitter in taste and by scattering whole peppercorns over the top. My husband had the wild boar tortellini with mushrooms. Was expecting the usual small tortellini with a sauce but was served 3 quite large tortellini with almost raw sliced mushroom scattered over the top and a small amount of broth in the bottom. 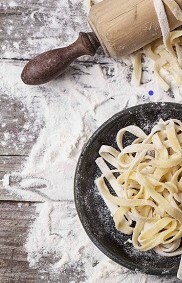 Nice pasta but not much taste in the filling. Was not very hot either. The restaurant itself is light and airy but too loud music! Staff welcoming and friendly. Would visit again in the hope that the menu has changed slightly. Hi Mandy thank you for your review and we're sorry that you found the food underwhelming. We have taken on board your feedback and we do hope that it won't stop you from visiting us again. Fabulous building and decor. Interesting loo experience.